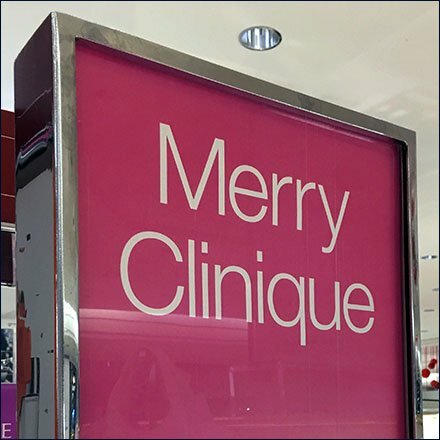 “Make Someone Happy” is the extended message of this catchily phrased Merry Clinique Christmas Merchandising. Display and package coloration pick up on the merry Holiday theme. Orange is often a Clinique color, with Purple a nice compliment. Consider this Merry Clinique Christmas Merchandising from various distances in the gallery of images. Seen at Macy’s.